There are certain parts of the world in which I will never be able to blend in as a local. India is one of those places. I am too tall. I am too fair. And, perhaps most importantly, I am blonde. These characteristics make me conspicuous on the Indian streets. And, unfortunately, being conspicuous makes me an easy mark for the touts, rickshaw wallahs, and aggressive panhandlers (who our local friends warn are likely coordinated by the mafia). There are a few bright spots to my new notoriety. In addition to the hucksters, I also attract the attention of curious Indians, especially children. Lots of kids come up to us to say hello and ask questions. It is a great way to meet people, as chatting with children often opens up conversations with their parents and families. 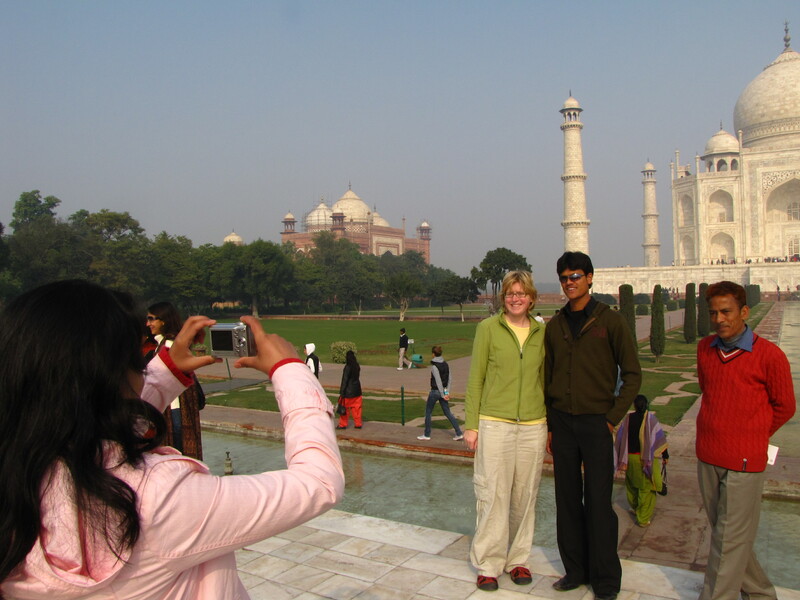 It is a great way to meet people, and to learn about India from the people who know it best. It can also be useful in navigating unfamiliar waters. 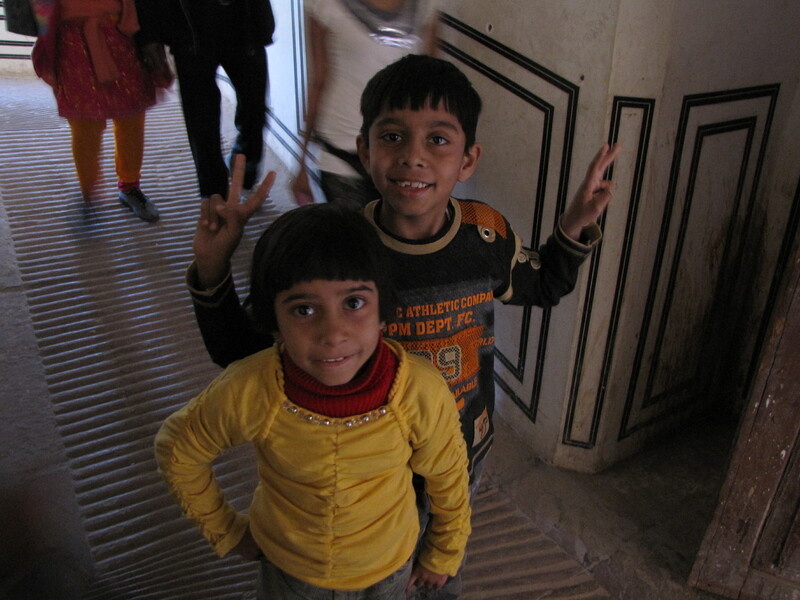 When Damien and I were separated to go through the chaotic security at the Indian-Pakistani border, I was adopted by a family of Indian women, who chatted with me and protectively guided me the fray. In addition to wanting to talk, lots of Indians want pictures with us, or just of us. Our first experience with this phenomenon was at the Red Fort in New Delhi. A young man approached us with his cell phone out and asked about taking our picture. Confused, we demurred. In our recent experiences in Africa and the Middle East, a request for a picture either meant that the requester wanted money to take a photo for us or appear in a photo with us. After watching the young man move around the complex with his friends, it became clear he was not hustling for money; he was just hanging out. A friend later suggested that he wanted a picture of us because of our novelty—a fair, blonde woman and a dark skinned man. Since then, we have been asked to pose for numerous photos, and seen a number of people snapping pictures surreptitiously. It still seems strange to me, and I don’t think I will get used to it any time soon. In the meantime, I will just keep smiling.